Getting pregnant could be one of the greatest things that a mother can experience and go through. This is especially true for parents who are going through the process for the first time. 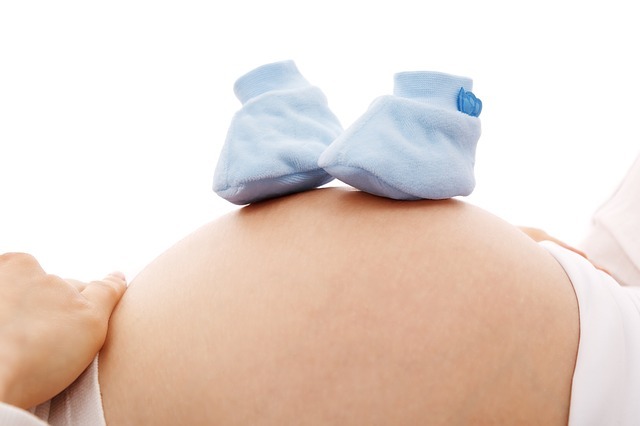 It can be very nervous and excited process with a few maternity check-ups along the way. As a pregnant mother, it is very important to stay healthy and be healthy throughout the process. This means eating the right amount of calories and eating the healthiest way possible. For pregnant moms, eating an extra 300 calories a day is a must to nourish your growing baby inside you. Eating a third of the extra calories at breakfast would help fuel your day-to-day activities, and also help nourish your growing baby. If you don’t particularly like eating breakfast or if you are having your morning sickness at this time of the day, there is nothing to worry about. You can still incorporate the extra calories in your breakfast in several ways. For many expectant moms, eating breakfast could be a struggle. More often than not, pregnant mothers experience nausea and sickness in the morning, which leads to vomiting and not feeling so great. This is a result of the hormonal changes happening in the body to accommodate the growth of your baby. In your first trimester, it would feel like you can’t keep your food down. On the other hand, in your last trimester, it would feel like you will always have a room for an extra scoop of ice cream every meal. As mentioned above, it is important to eat an extra amount of calories on your daily diet. However, you should not pressure yourself to take that extra 100 calories at breakfast. The best thing to do is incorporate it throughout the day. You don’t have to eat that extra calorie in the morning if you don’t feel like it. The important thing to remember is the quality, not the quantity. This means that you don’t have to worry about meeting your food requirement in one seating. In addition, you can start your meal slow. Two hours later, if you feel like you can eat some more, then do so. Having an empty stomach in the morning is not recommended. It is not always that you will be able to hold everything down at breakfast, especially if you are still experiencing your morning sickness. No need to worry about eating as much as you can in breakfast. All you have to remember is incorporating one from each basic food group in all your meals. This could mean having a fruit juice with your breakfast, having a dairy product for your calcium and protein needs, or eating cereal or a toast of wheat bread in the morning. If you are always on the go, you can have a yogurt smoothie mixed with dried or fresh fruit in the morning. This is a very good and healthy on-the-go meal for pregnant mothers. If you can tolerate a full breakfast meal, then you should consider having a whole grain toast, with fresh fruits on the side. You may want to have an egg-white omelet with it, too. Everything that you eat should be fresh. Thus, it is recommended to stay away from frozen products and eating ham or bacon in the morning. These traditional breakfast meals have high sodium levels, which is not good for you and your baby. Coffee can be considered staple for those who are used to a few cups the entire day. However, for pregnant women, it is recommended to keep caffeine to the minimum. It is not entirely off limits. You just have to keep it up to 300 milligrams in a day. This means that your cup of coffee in the morning is the most that you can take in the day. If you want to drink coffee while you are at work, then you should consider drinking a decaffeinated coffee in the morning or having a half-caffeinated cup of coffee from the drive-thru. If you are a tea-drinker, then it is good news to you. Teas with caffeine does not have the same quantity of caffeine as those coffee served in a drive-thru. This means that you can drink two to three cups of tea during the day.